13-year-old paperboy Chester Kahapea happily hawks a commemorative edition of the Honolulu Star-Bulletin with the headline showing the state had achieved statehood after the U.S. House of Representatives passed the law authorizing Hawaii as a state. Star-Bulletin photo by Murray Befeler. Hawaii formally celebrates the day on the third Friday in August (last Friday, for 2013). I hope you joined in the festivities (it’s a holiday in Hawaii) — but under the U.S. Flag Code, you may certainly fly your flags on August 21, regardless which day of the week that is. 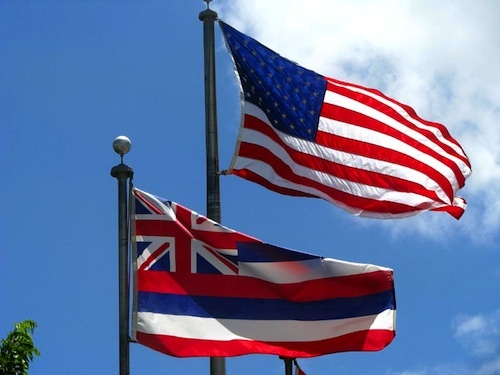 U.S. and Hawaii flags flying together. 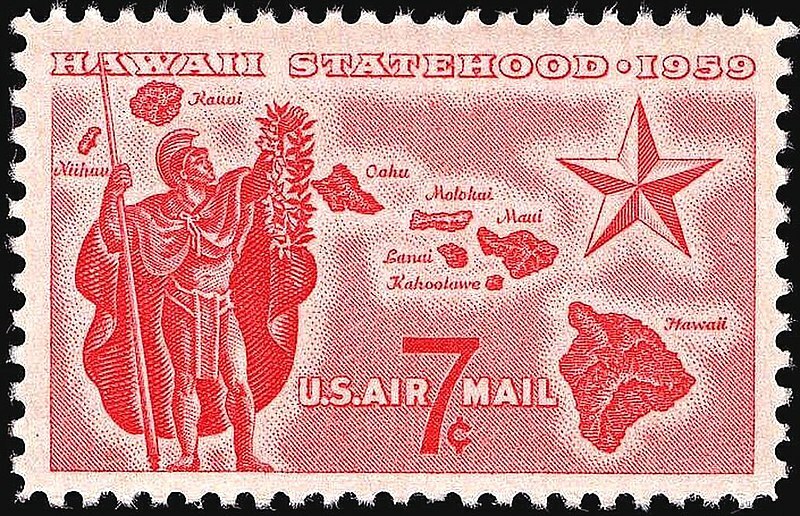 U.S. postage stamp issued in 2009 commemorating the 50th anniversary of Hawaii’s admission to the union. This is an encore post, borrowed with permission from Millard Fillmore’s Bathtub.